Your Nickel's Worth: Can Mind Games Help You Improve Your Intelligence? There have been numerous debates about the different types of activities which are able of increasing the IQ. Many of them were thought to be useless, while others were labeled as highly efficient. About mind games, people have always had different opinions: their fans say that these games have made them see things much clearer and have offered them a simple and pleasant way of increasing their IQ, while those disliking these activities strongly affirm that there is no connection between mind games and improving the intelligence. However, it seems like mind games fans are right: mind games do affect the brain in a positive way. In fact, everything that puts your brain to work steadily and gives it obstacles which it has to overcome has a positive influence upon the human brain. This is mainly because the more you put your brain to work, the more its capacity will increase. Thus, new challenges, such as finding different strategies to defeat your enemy in a chess game or planning your moves in advance in a computer strategy game, have the role of expanding your intelligence and increasing your IQ. The most efficient mind games which can increase your intellectual abilities are Sudoku, crosswords and other similar word games, chess, computer strategy games, riddles and puzzles. These games are efficient because they force you to think differently and find more than one solution to a problem. This kind of approach will force your brain into working continuously, thus increasing its power of focus and its capacity of learning. In order to make this type of brain training efficient, it is highly important that you do not cheat, but rather try out until you reach the correct result. Thus, even though the higher levels may be more difficult, you should try and solve them without using any hints. 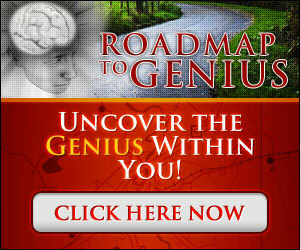 Only this way will your brain be able to work more, and thus increase its intelligence. Perseverance is the key of learning, but is also the key to an extended intellectual capacity, so do your best and remain focus even when things are not going well, because this is the time when your brain leans new things.